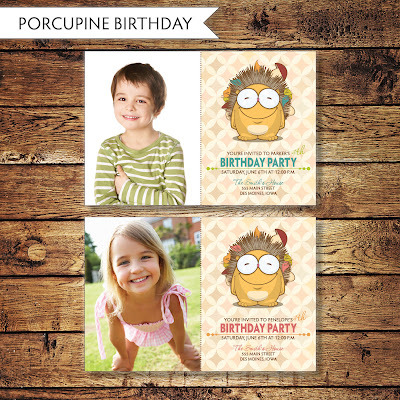 Remember these cute porcupine birthday invitations I posted about last month. Well I have had some requested from customers who love the invitation but would also love to see their child's photo on them. So I have redesigned them to include a photo of your cute kiddo. They are now available for purchase in our Etsy shop.